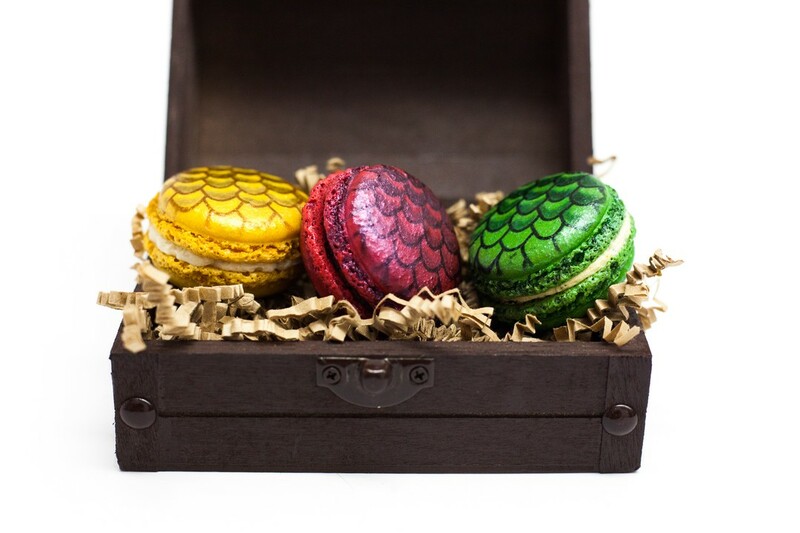 GET DRAGON EGGS DELIVERED FRESH NATIONWIDE! It's a bittersweet moment for us here at[ma-ka-rohn]... Although we are elated for the return of our favorite show there's an ever-present twinge of sorrow knowing this is the final season. 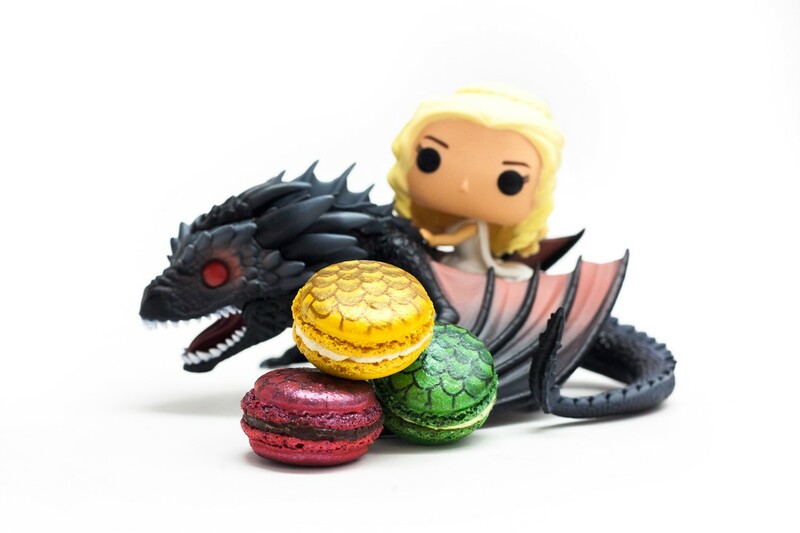 We can't wait to see who gets eliminated and who comes out on top in the battle for the iron throne, however, we can't let go that easily... We needed to do something momentous to mark the occasion, so in honor of everyone's favorite mother, the un-burnt breaker of chains, we created Dragon Egg Macarons. 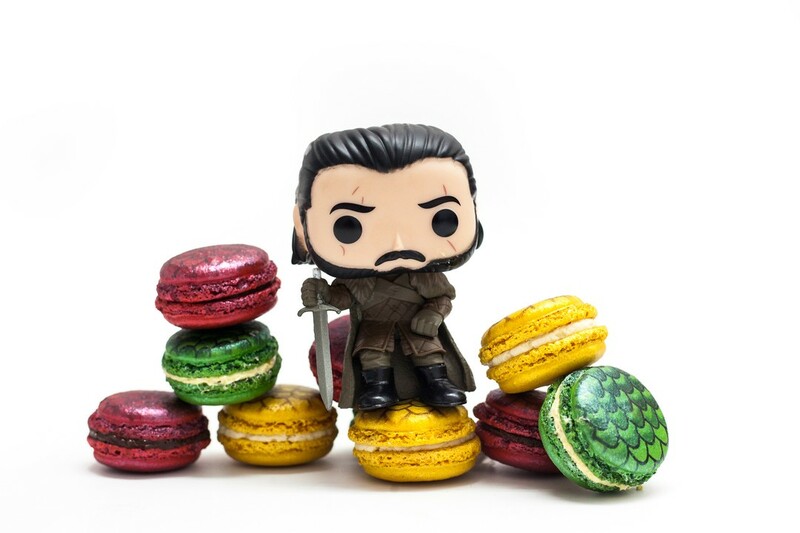 These flavors have nothing to do with dragons or the show for that matter... but to say they are anything short of exceptionally delicious would be understating the facts. All we knew was that we needed a golden dragon egg. It had to be gold, but what flavor is gold? After veto-ing a mac and cheese flavor (maybe one day? ), we came up with honey, liquid gold just like Visery's molten crown. This golden dragon egg is filled with a honey infused buttercream and homemade crunchy honey toffee candy. We don't want to brag, but this is the best new flavor we have come up with and we will have a hard time letting this one go— just like this show. WHY ARE THEY ONLY AVAILABLE IN LIMITED AMOUNTS? 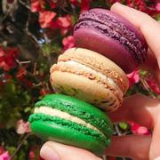 Our macarons are made by hand and there are only so many that we can make on a daily basis while still baking our full menu. 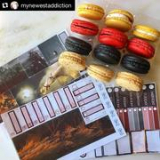 Getting these shimmery scales on the macaron shell is actually a time-consuming process and we get them out as quickly as possible, however,this is the reason these macarons are a pre-order item and ship as soon as they become available. 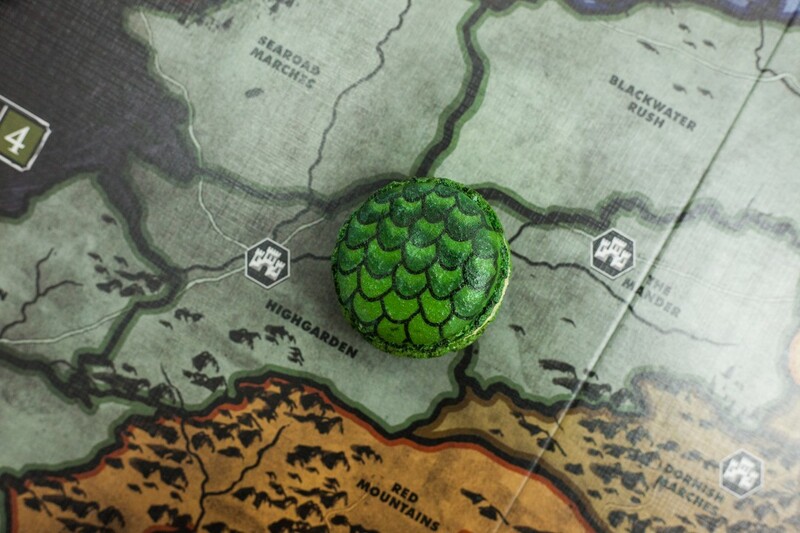 For this dragon egg, we decided to go with an old classic, and what better green flavor is there than pistachio?! We hand make our pistachio praline from scratch leaving little crunchy candied pieces of nuts inside the buttercream and giving this creamy filling just the right amount of depth, texture, and flavor. Red dragon eggs and an impending battle for all humanity have us feeling all kinds of things. Chocolate-cherry seemed like a deep and sultry representation for bloodshed, the loss of innocence and battle trenches. Perhaps a bit dramatic... it tastes great though! For this flavor we soak dehydrated cherries in cherry juice and then puree it into our dark chocolate ganache, small bits of candied cherry still swirl around this filling, giving it just the right amount of tart to pucker your lips before the smooth chocolate lulls you into a final resting place. 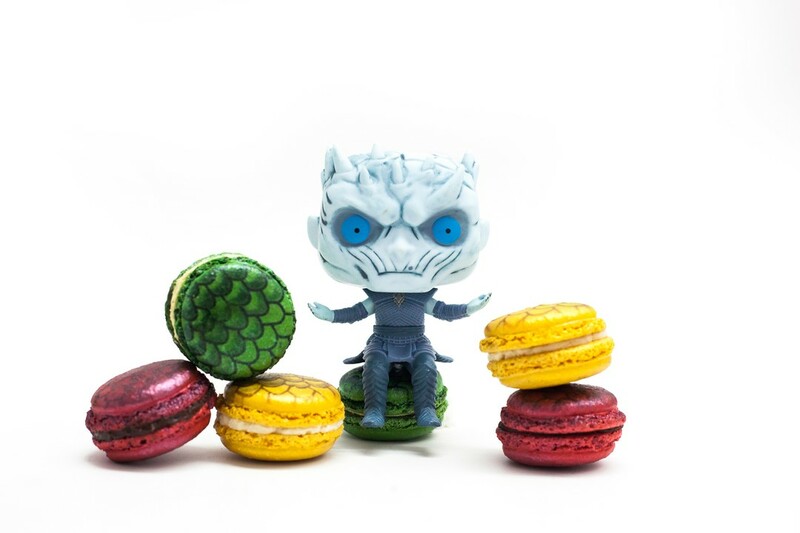 Just hope you don't come back as a white walker!